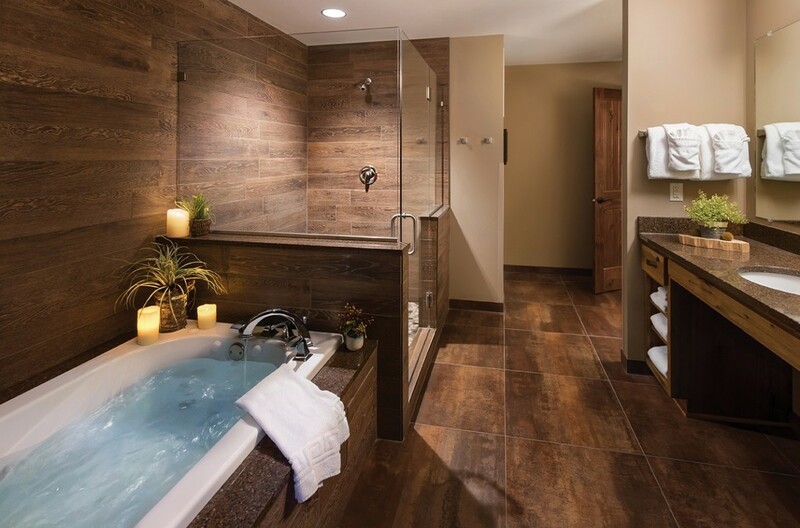 Our Hotel Rooms have been updated to feature peaceful patio seating. 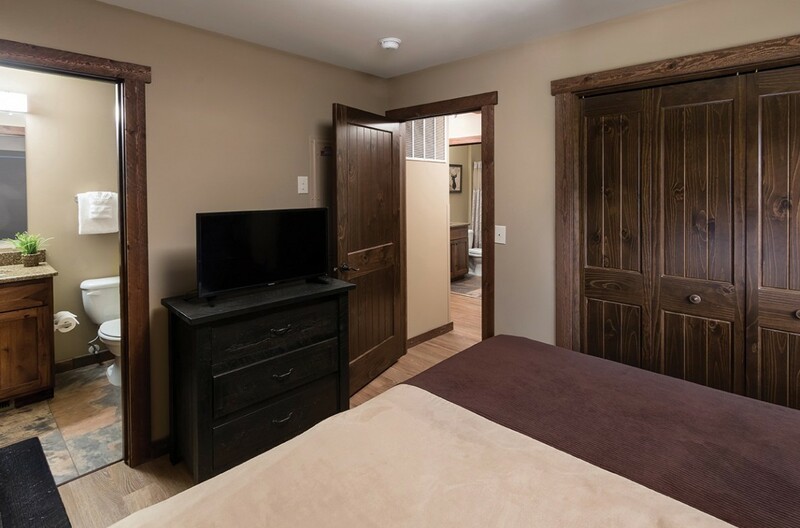 As our most affordable option, these rooms allow you to save a little extra for your wildlife activities while you are here. 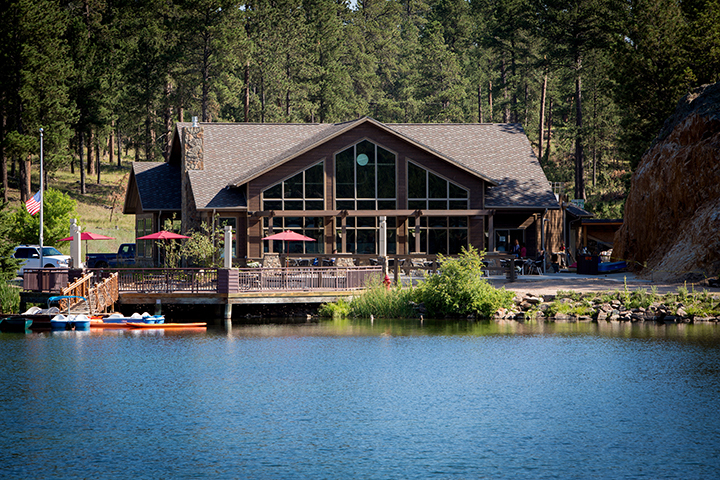 Ground-level access available. 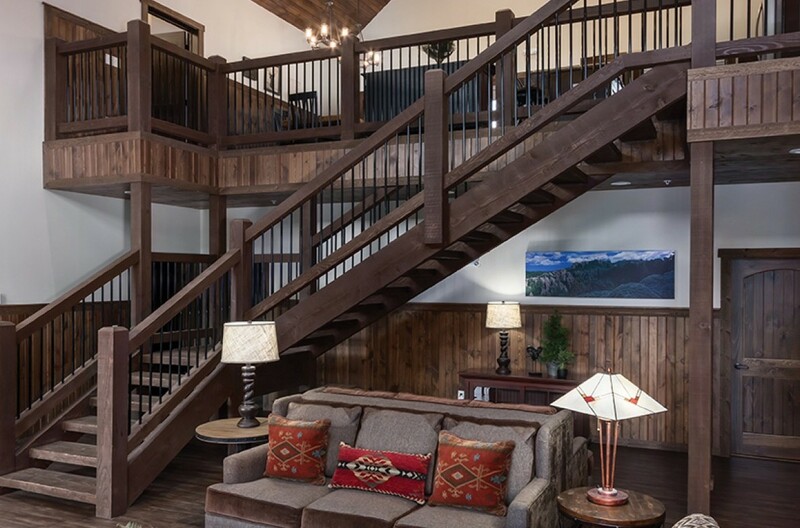 If a Single-Family Cabin is more your style, look no further than our new 2-bedroom, 2-bath cabins along Coolidge Creek. 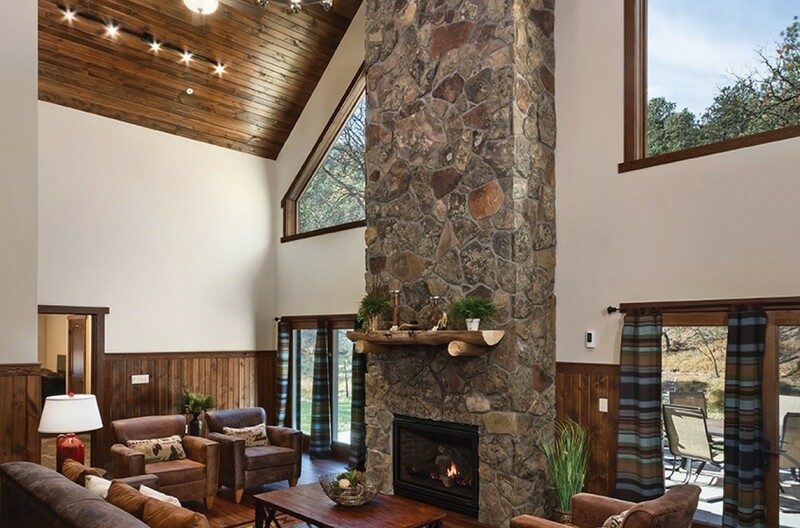 Complete with kitchenettes, full-size fridges, and of course your private fire pit. 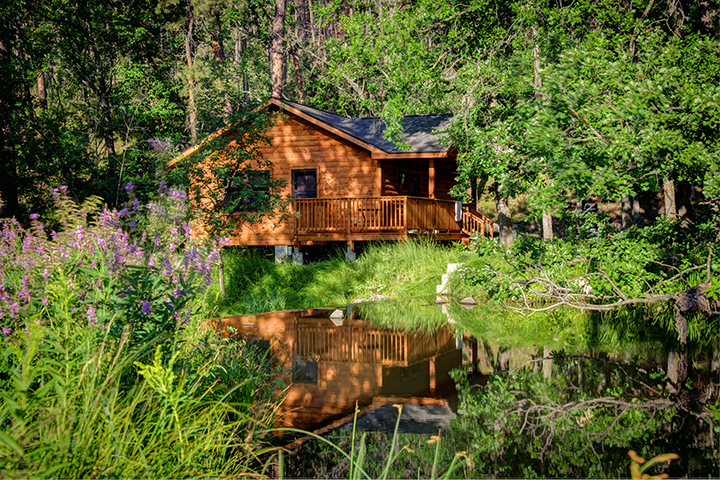 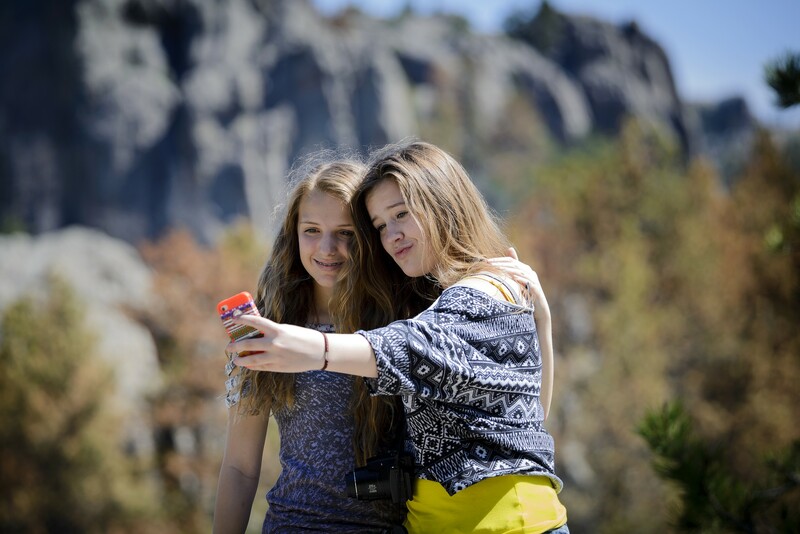 Finally, if you are bringing more than your own household along, explore one of our Specialty Group Cabins, which sleep up to 24. 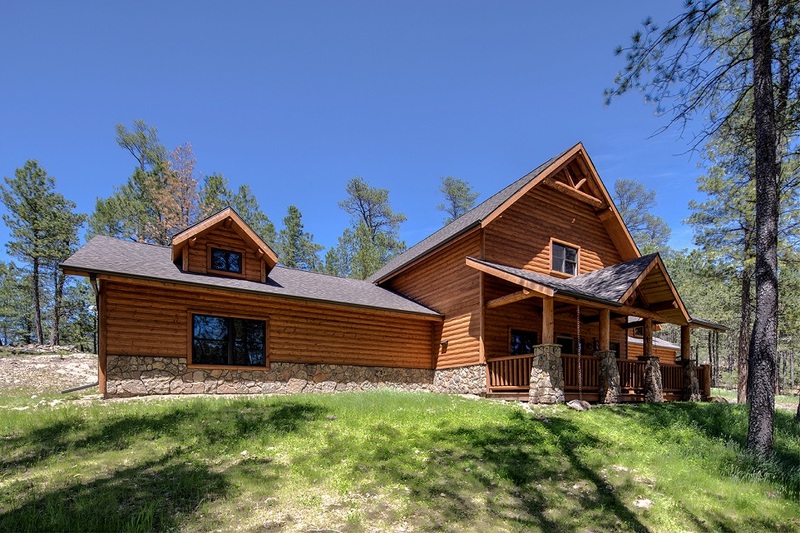 Our original Reunion Cabin has been so popular that we added our Tatanka Cabin so that we now have two within walking distance of one another. 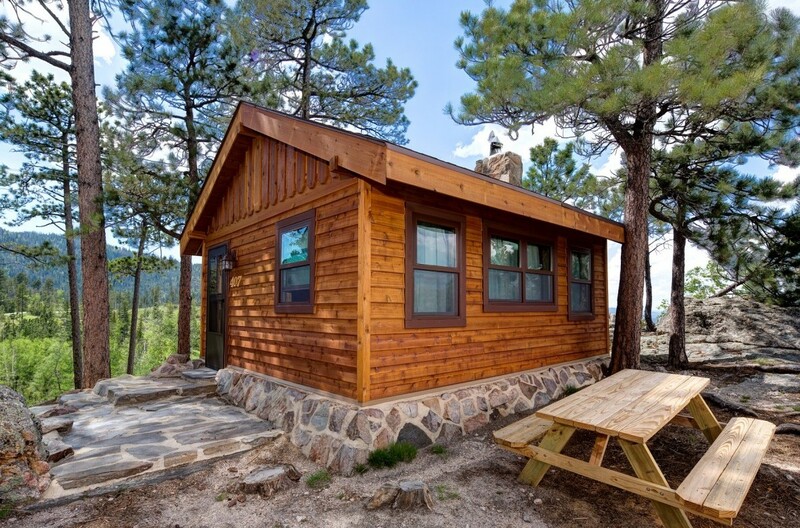 With some of the best views in the Park, we rebuilt our cabins to better-help you enjoy them. 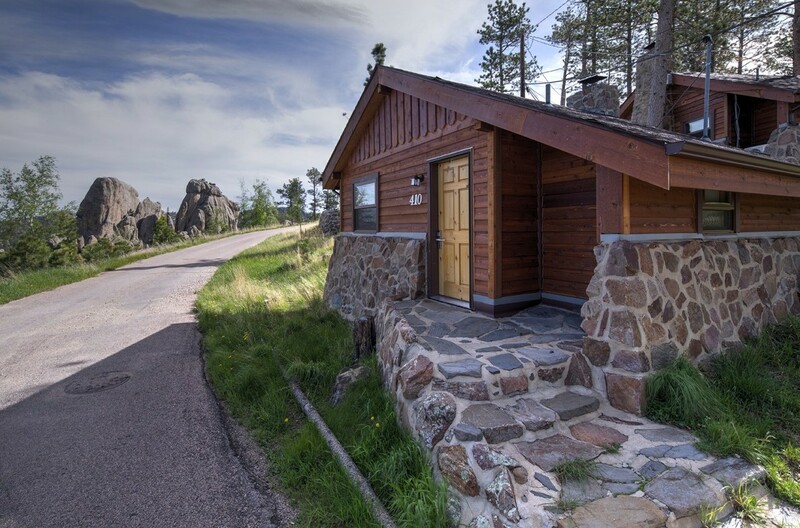 First, we added some 2-bedroom 2-bath Cabins at one of the highest points near the lake; then we built another Specialty Group Cabin, our Cathedral Spires Cabin to neighbor the new smaller ones. 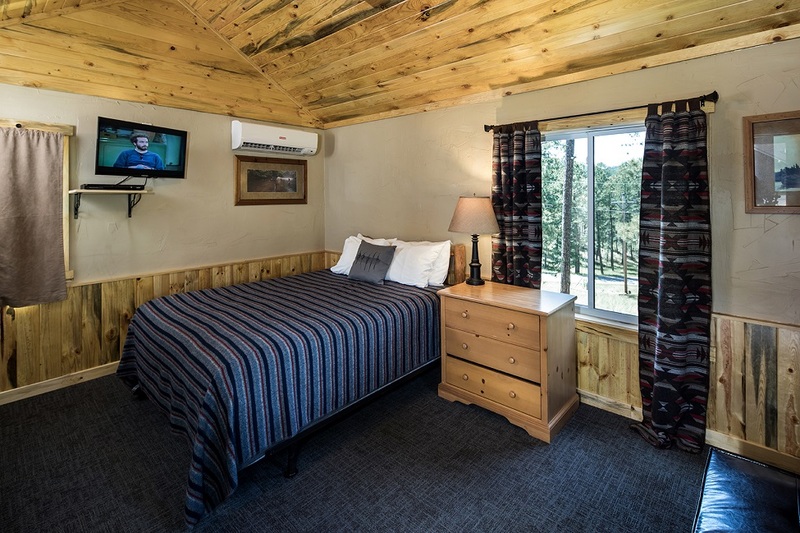 Also, Sylvan's Sleeping Cabins have been completely renovated! 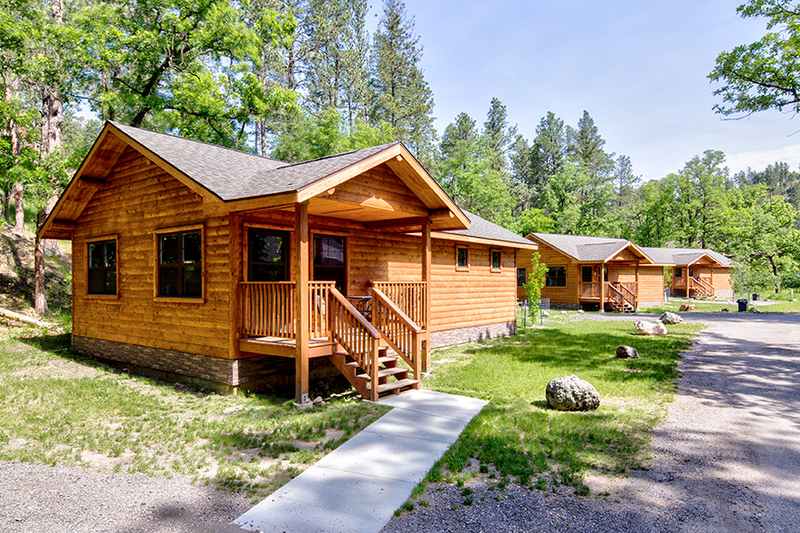 These spacious cabins are situated near the Lodge and have never looked better. 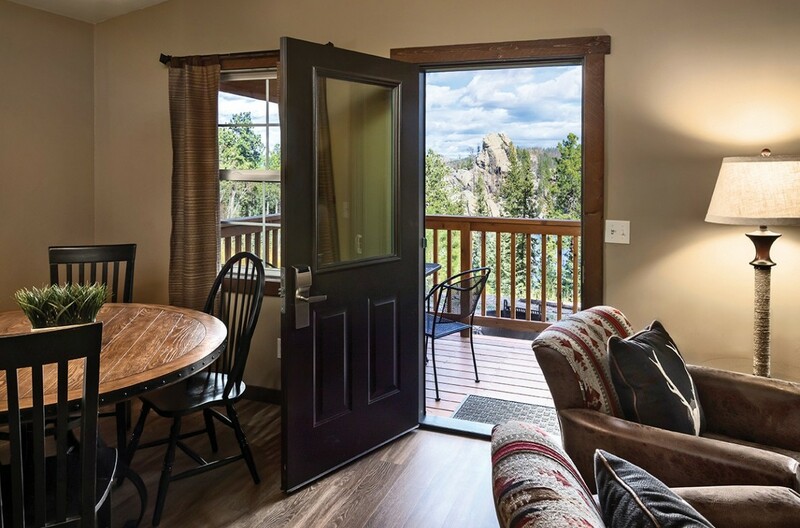 Views of the Needles right outside your door. 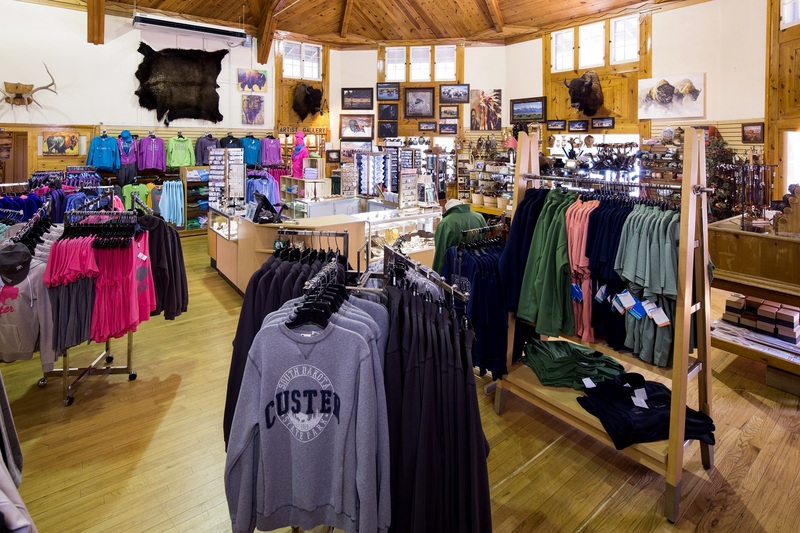 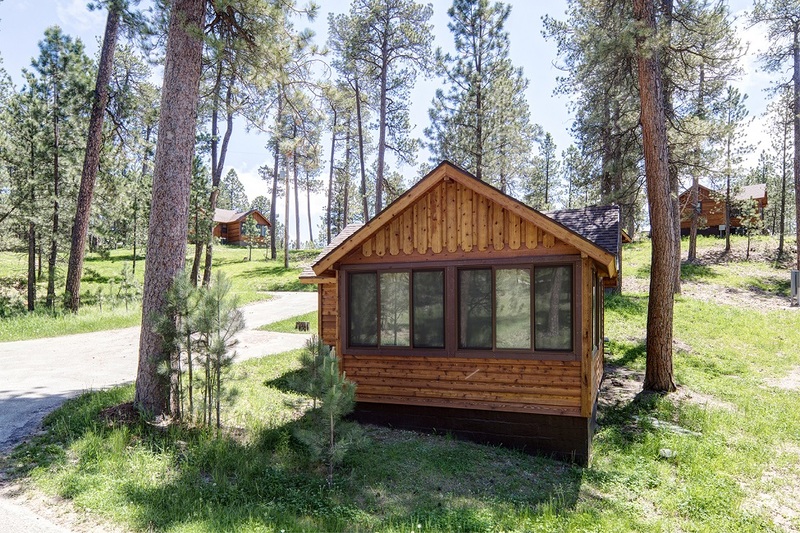 While Blue Bell needs no further beautification, we simply added one more Specialty Group Ponderosa Cabin for your large-group needs. 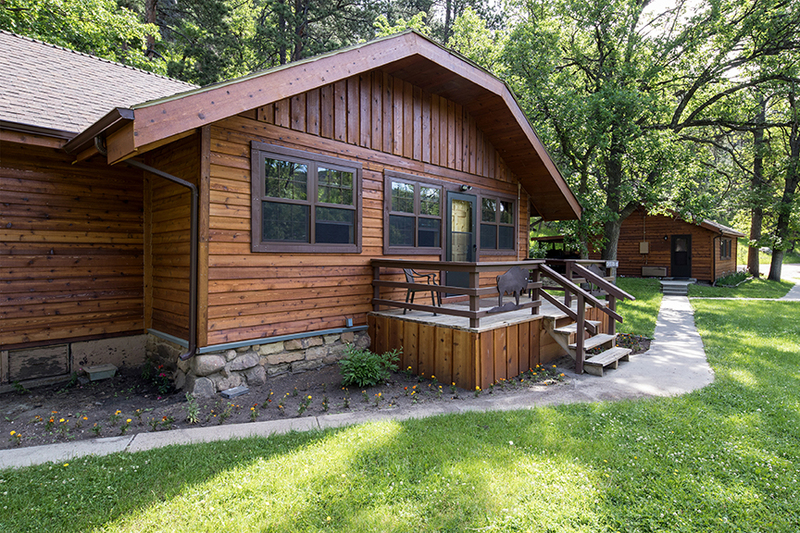 Tucked toward the back of the cabin loop, this cabin serves as a fantastic hub for your next event in the Park and sleeps up to 24. 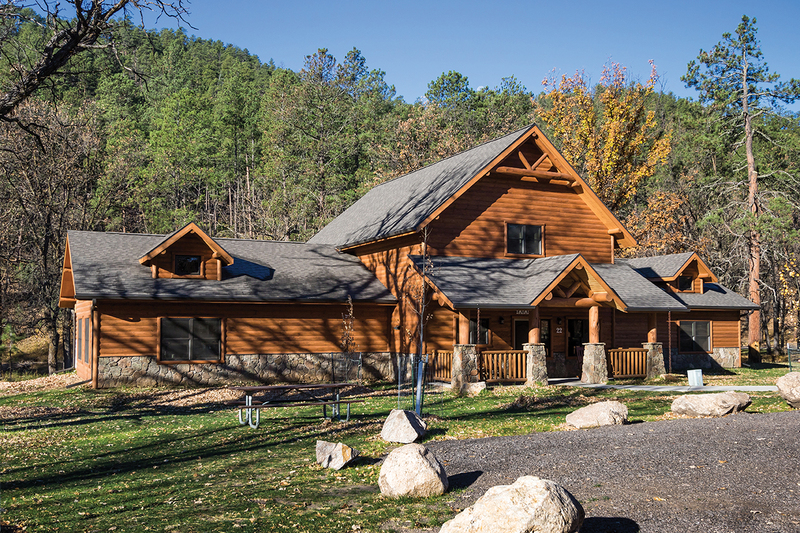 Our entire lodge has been rebuilt! 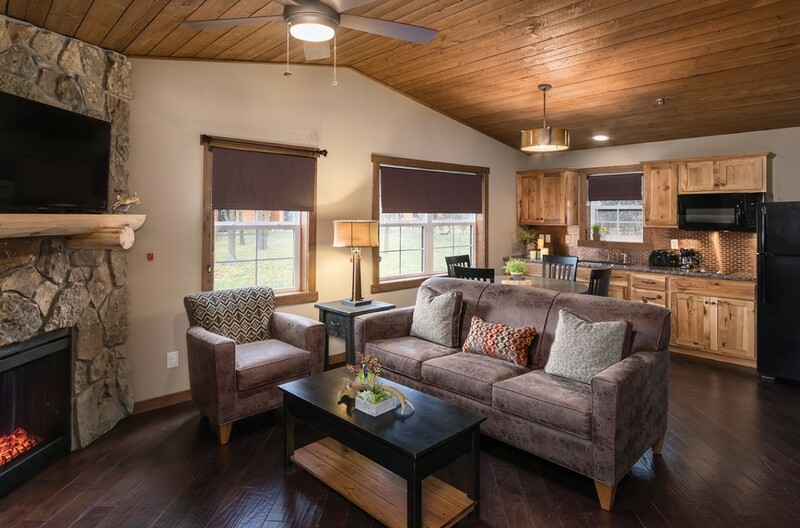 But to enhance your cabin stay, all cabins have been remodeled for 2019!